Updated: Tizen is on an indefinite hold in Russia for now, a Samsung spokesperson confirmed with TechRadar. "Samsung will continue to actively work with Tizen Association members pursuing to further develop both Tizen OS and the Tizen ecosystem," the Samsung spokesperson explained. Likely Samsung hopes to flesh out its new marketplace with more apps before making the big launch. Which makes sense, as the Korean company's Tizen smartphones will run into stiff competition when it launches alongside both iOS and Android's fully stocked digital marketplaces. Things are not looking up for Samsung's self-made Tizen smartphone operating system, as the Samsung Z hit delays in Russia. 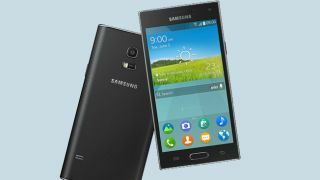 The South Korean electronic firm's first Tizen-powered smartphone was supposed to launch on July 11. However, reports from The Wall Street Journal claim that the launch of the Samsung Z was scrapped in Moscow just a few days before its scheduled debut. Samsung didn't provide an updated launch date for the device, though the company noted that the device is still on track to release in the Russian market just as soon as it can offer users the "fullest portfolio of applications." Despite the canceled launch, Samsung still held an event in Moscow with roughly 150 developers, nearly half of the attendees to originally show up at the venue. At the sparsely filled non-launch, Samsung used the time to show off prototype devices. Later, Dmitry Anosov, an executive from the Russian arm of the company, took to the stage to tell the audience that the "most obvious advantage" of developing for Tizen was that developers will get a spot towards the top in a "half empty store" on a "decent premium device." We're not sure if we're missing some sarcasm from Anosov's statement, but it reflects the depressing state of the operating system. In light of all this, somehow developers attending the event weren't too disappointed with the delay as it was just the latest in a long string of setbacks. This isn't the first time Tizen has met with a setback. The OS was expected to debut several times, including Samsung's Unpacked 5 event at MWC 2014. TechRadar asked Samsung Russia about the Samsung Z's next projected release and whether this has any effect on its release on TVs this month. We will update this story when we hear back. Could Tizen ever come to the Samsung Galaxy S5?